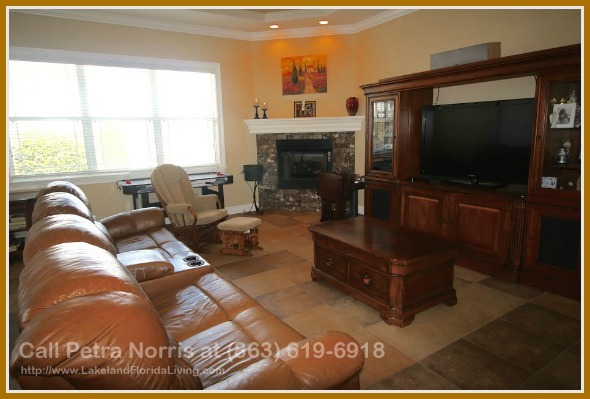 Imagine your dream home – 3 bedrooms, family room with fireplace, large walk-in closet, heated swimming pool, outdoor kitchen, and gorgeous views of the lake? 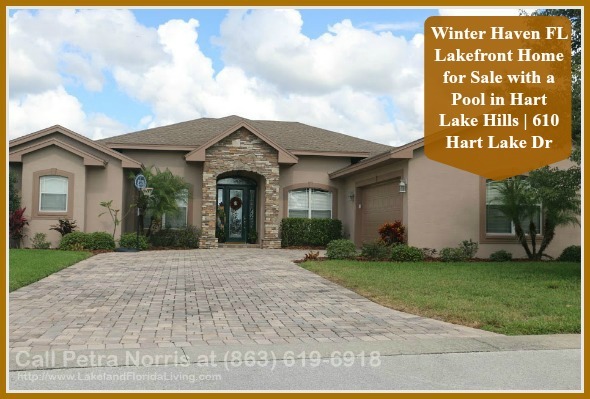 If this sounds like your perfect home, then check out this Hart Lake Hills home for sale in Winter Haven FL. As you enter the foyer, you can head over to the living room or the 20×17 family room, which provides a panoramic view of Hart Lake and the mature tropical landscape of the home. Invite family and friends over for a fun holiday party as the rooms open up to the outside area with a pool, lanai, and a summer outdoor kitchen. The formal dining room of this idyllic abode comes with a large window that fills the room with natural light, giving the space it’s warm and cozy ambience. Lounge at the 49×17 lanai and set up your choice of outdoor deck furniture. 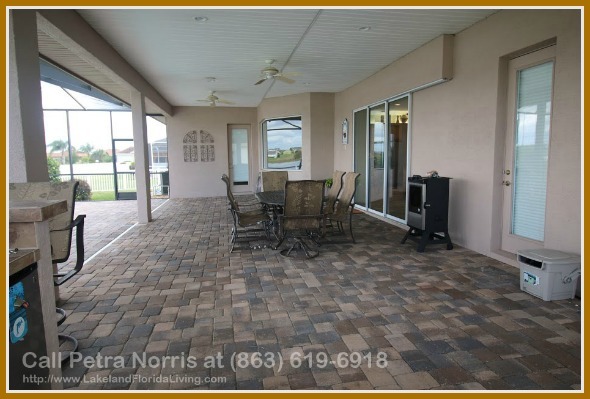 The wide space provides homeowners the chance to update the look and feel of the large brick paver covered lanai. 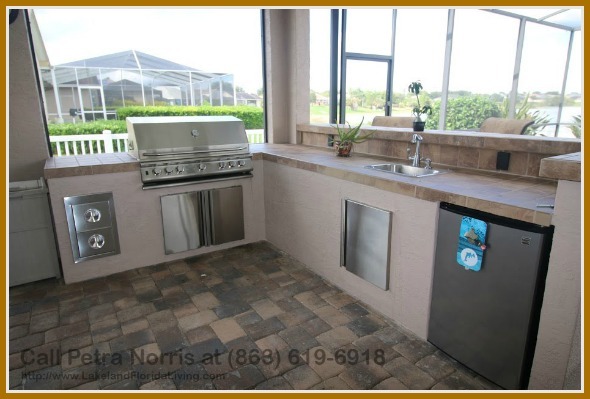 The outdoor summer kitchen and bar also comes complete with stainless steel appliances such as a refrigerator and gas grill. It also has a lovely tiled countertop and bar. Turn the master bedroom into your very own private sanctuary. Snuggle under the covers and admire the gorgeous tray ceiling and crown molding. You also have direct access to the pool area so it’s easier for you to enjoy, rest, and relax all day long. Start living in your dream home today. 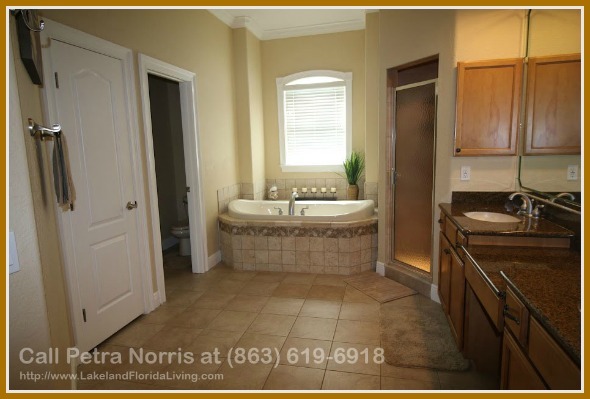 Don’t miss the opportunity to create wonderful memories in this fantastic Winter Haven FL home for sale. Did you know that you could go shop around Lakeland 55+ communities real estate for your dream home without stepping outside? Thanks to technology, you can go house hunting whenever and wherever you want. All you need is an internet connection, a mobile device and your application of choice. The options can get a little bit overwhelming so here’s a list of the best applications out there to get you started. Zillow is a well-known website visited for searching homes and apartments for sale and for rent. In its iOS application form, it does exactly the same thing even easier. Zillow has an amazing access to more than a million listings. Not that you’ll need that many options in Lakeland. The filter options are one of the features that make this application easy to use. It helps you cut through the long list by giving you only the listings you need and want to see based on your preferences. You can even save certain listings in your favorites and be able to go back to them once you’re ready to compare your final options. Most of all, you don’t need to stay on the application all day long. You can set up notifications whenever something new comes up or when there are important changes with your favorite listings. Now that’s the ultimate house hunting experience! Created by CENTURY 21 Real Estate LLC, this application will help you find the best Lakeland 55+ communities real estate. It offers features that will bring you the latest and most reliable information on listings that match your needs. This application has really useful features that give you information on square footage, taxes, pictures, estimated mortgage and descriptions. It will also give you easy access to contact the real estate agent for each listing. You’ll be surprised at the amazing options you have around Lakeland 55+ communities real estate. Technology has definitely been helpful that finding the perfect home nowadays doesn’t seem as difficult anymore. Visit http://www.LakelandFloridaLiving.com today for more information on finding your dream home. 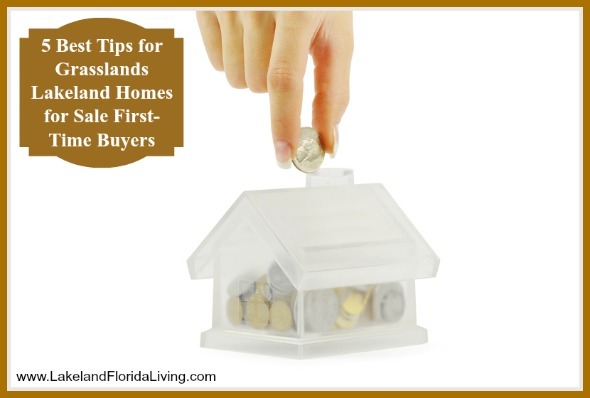 Buying your first home in Grasslands Lakeland Florida can be a very exciting and busy time. Since this is probably one of the biggest purchases you will ever make, it pays to know what to expect and what to do. If you do not want to regret your decision, be sure that you have seriously prepared for the home buying experience. Before you start looking for homes in Grasslands communities in Lakeland FL, get pre-qualified for a loan. It is highly important to get an idea of how much a lender will actually be willing to give you to purchase your first home. These may be influenced by several factors such as your monthly income, how long you have been in your job, and how much other debt you have. As a first-time home buyer, you might get shocked by the many extras that come with your monthly budget. These may include larger utility bills, home repairs, and lawn maintenance. When they all add up, they can significantly affect your finances. Build your emergency fund so that you will be more prepared to handle the financial responsibilities that come along with home ownership. You need to know as much as you can before you begin shopping around for Grasslands luxury homes for sale Lakeland Florida. Making a wrong decision on your first house can be a serious problem that can haunt you for years. You can avoid this by taking a little time to learn from the pros. Many seminars are offered by different organizations such as city housing departments and non-profit organization. Working with a real estate agent can make the home buying experience faster and smoother. Your agent can help you locate properties that satisfy your requirements and are in your price range. These professionals can also assist you in negotiating the entire purchase process including making an offer, getting a loan, and finalizing legal documents. Working with a real estate agent can save you from costly pitfalls that you might encounter during the process. Avoid getting rushed during the home buying experience. Remember that purchasing a home is major financial decision that requires careful planning and thought. If you rush things, you might end up with a home that you don’t really like. Consider many factors before buying a home and try searching in different neighborhoods in the area where you want to buy. Don’t short change yourself. Check out other properties for sale. You might miss a great opportunity if you jump too soon. Follow these tips as you start picturing yourself in your dream home. These tips will get you started on your way to real estate bliss. 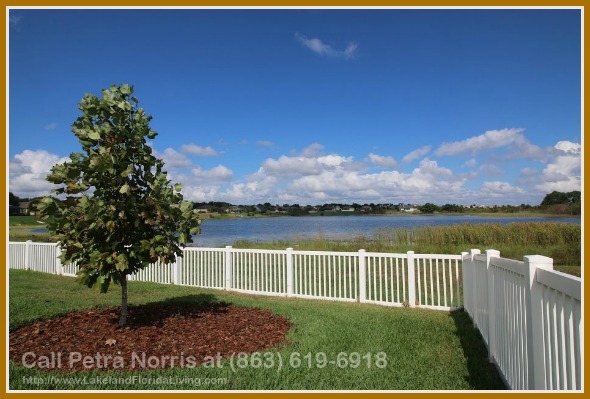 Visit http://www.LakelandFloridaLiving.com today to see the latest real estate listings in Grasslands Lakeland FL. The housing market suffered a few years ago but it seems like things are looking up especially when it comes to Lakeland 55+ communities real estate. It’s always good to stay updated with the latest news in the area whether you’re looking into buying new property or selling. 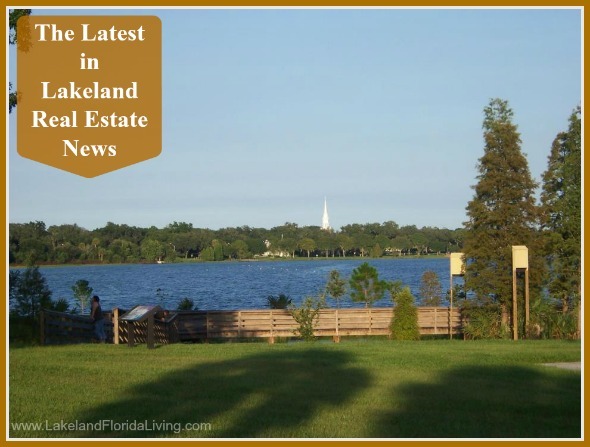 Read on about the latest in the Lakeland Fl real estate market. Because of the “fall” of the real estate market a few years back, many have lost their homes. After years of saving up and rebuilding credit, the market is ready to welcome them back. These are the “boomerang buyers” who had to go through short sales and foreclosures during the housing market crash. Now that they are back on their feet, mortgage loans are within their reach. As the real estate market gradually improves, more and more boomerang buyers will be actively buying in the near future. Your Lakeland FL real estate broker might have already told you that Lakeland has been known as one of the most affordable places to buy a home. If you’re looking for a place that thrives on business and agriculture, this is the place to be. It’s a working class community. The weather is always sunny and the outdoors are just awesome with great farms and countryside areas to visit. Ask your Lakeland 55+ communities real estate broker all about the growing industries in town and you’ll be surprised at how there have been amazing developments in the area. Lakeland is such a great location that businesses are setting up shop here. There’s Tampa, Orlando, Miami and Atlanta. The market never looked this good and businesses are just as excited to be in Lakeland. Buying a home in Grasslands Lakeland Florida is a complex process. If you fail to plan well and work with the right people on one of the biggest financial investments you will make in your life, the home buying process can become even more difficult and you might end up experiencing stress. Here are a number of things to help minimize the stress and make home buying much smoother. It’s a wise decision to get pre-approved for a mortgage loan before bidding on Grasslands luxury homes for sale in Lakeland Florida. Financing a property can sometimes lead to some serious problems. To minimize stress, make sure that you are eligible for financing. Getting the finances in order will save you from a lot of heartache and stress. When it comes to making an offer, keep in mind that it is not just about deciding what price you are willing to pay. 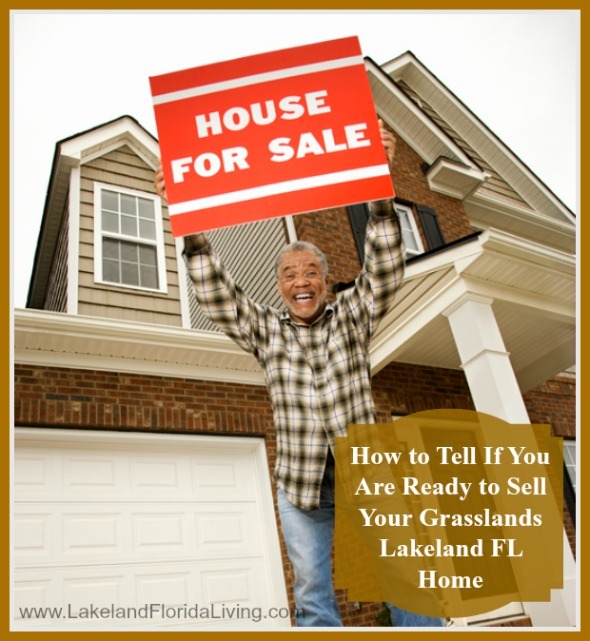 Consult with your real estate agent before you begin searching for Lakeland FL Grasslands homes for sale. Discuss earnest money, option periods and fees, inspections, closing time frames, and other aspects that can make your offer more appealing to the seller. It’s now easier to educate yourself on the home buying process. Lots of information are readily available online. 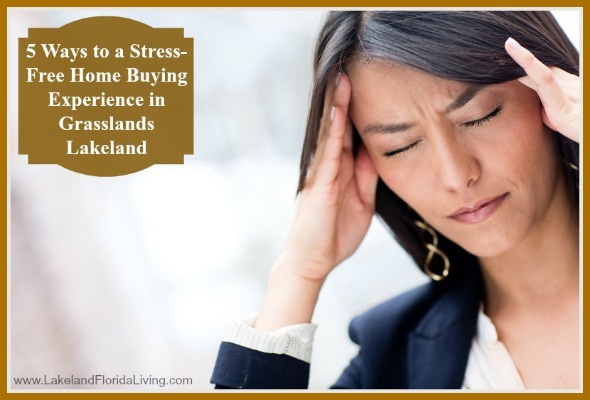 However, your real estate agent knows a lot more than you do, especially about the Grasslands Lakeland real estate market, so it only makes sense to listen and follow the advice of your agent. Once you provide the specific requirements, trust that your real estate agent will help you find the property that will meet your needs. Be sure you clearly understand the cost of buying a home before you take that leap into the real estate market. Familiarize yourself with closing costs and other mortgage related expenses like home appraisals and inspections and earnest money deposit. Make sure you have enough cash available for the down payment so you won’t have to pull out mid-deal. While buying a home may be a stressful period, it should also be an exciting experience. Think about the advantages of homeownership. Look forward to decorating and adding personal touches to your property. Involve family members in planning for your new home. These surefire ways will significantly reduce home buying stress. Visit http://www.LakelandFloridaLiving.com today to see the latest real estate listings in Grasslands Lakeland FL. 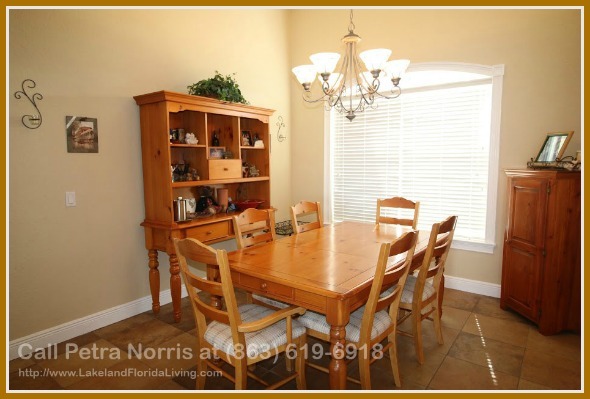 Call me, Petra Norris, at 863-619-6918 or send me an email at petra@petranorris.com if you’re looking for a Lakeland Florida real estate agent with unquestionable expertise and professionalism in providing only quality service that you need in buying Lakeland 55+ Communities real estate. 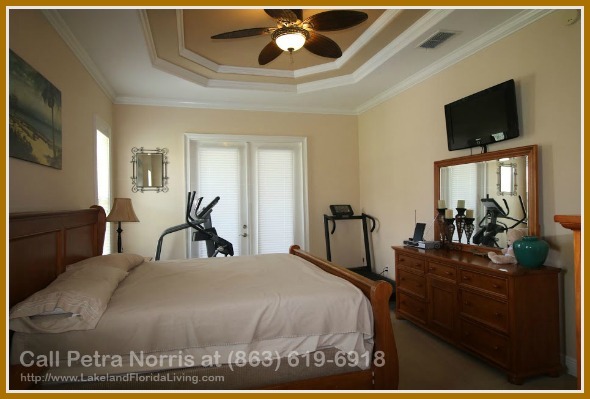 The master bedroom of this home for sale in Winter Haven FL has dimensions of 15×14, enough space to fit a king-size bed, perfect for your comfortable private sanctuary. Apart from the wide space and large windows, it also comes with a large closet and full bathroom. Learn more about the community and other Buckeye Pointe homes for sale by visiting http://LakelandFL-HomesForSale.com/. 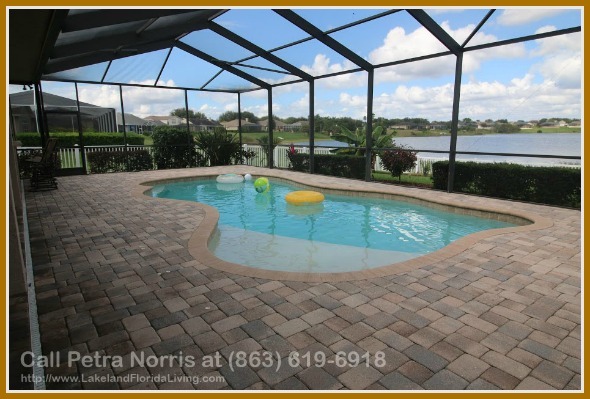 Call me, Petra Norris, at (863) 619-6918 or send me an email at petra@petranorris.com if you’re looking for a Florida real estate agent with superior local knowledge, experience, professionalism, integrity, and personal service to help you sell or buy homes in Winter Haven FL. 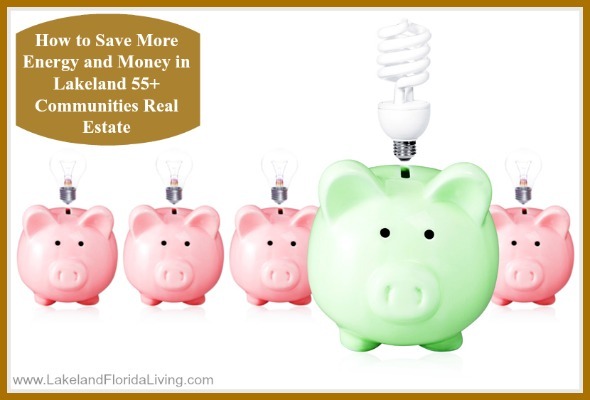 Little changes can go a long way for the benefit of your Lakeland 55+ communities real estate. Simple improvements in your daily life can also help save you money and conserve natural resources. If you want to know how to do this, the best place to start with is your home. Here are a couple of ideas you can easily try today. Hit two birds with one stone by saving electricity with Lakeland Electric. They offer a rebate program for Lakeland residents whenever they are able to keep their electric consumption really low. There are different programs available for rebate. There’s a one-time yearly maintenance rebate for $50. This is given to residents who are able to have a licensed HVAC contractor complete a preseason heating and cooling system tune up. Aside from getting a rebate, residents will also feel secure knowing that their heating and cooling system is in good condition. 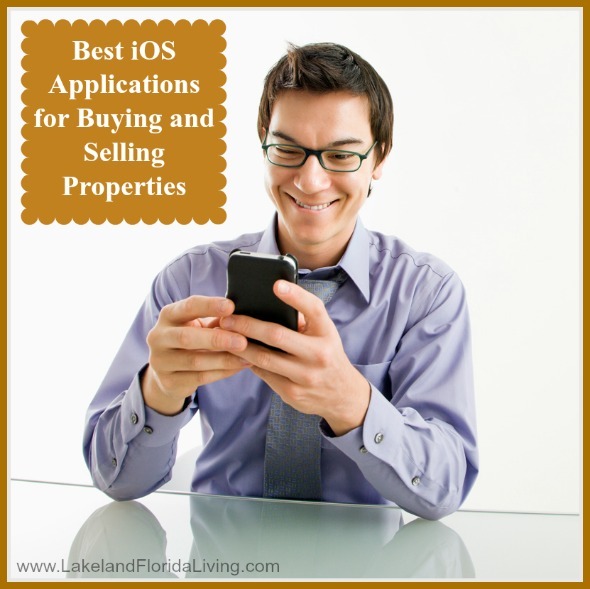 Have you noticed how your Lakeland FL real estate broker has a number of gadgets? Keeping those gadgets powered can use up a lot of electricity. At home, not only your electronic gadgets consume the electricity but your home appliances too. A power strip is a good way to regulate electricity consumption among your gadgets and appliances. When your gadgets or appliances are plugged to a power strip, you can simply turn off the power strip when none of these things are in use. This saves you the trouble of unplugging each item and saves you money by avoiding unnecessary electricity usage. The ENERGY STAR is a symbol you’ll see on products that are energy efficient recognized by the U.S. Environmental Protection Agency (EPA). Buying products that are energy efficient will significantly help you save. With the help of the EPA, you can find plenty of options in the market that are energy efficient that helps save energy and save you money. You can learn effective ways to regulate water temperature usage from your Lakeland 55+ Sandpiper golf homes agent. For example, using cold water instead of warm water when doing the laundry can help lessen your electric bill. Cold showers are best recommended for Lakeland’s climate. If you really need to use hot water, cut your shower time. If you don’t intend to use the water heater for a while, turn it off. By incorporating these little changes in your life, you’ll see a significant change in your electric bill in no time. For more tips on how to save energy and money, visit http://www.LakelandFloridaLiving.com today. Your home in Grasslands Lakeland Florida may be the most expensive possession you have. You should only when you are absolutely sure that you are ready. Selling a home is a major financial and emotional decision. If you tend to be indecisive, you might end up selling your home for less than it’s worth. Here are some sure indicators that will help you decide if you should sell your home. Selling your home in Grasslands Golf & Country Club is a personal decision that requires careful and thorough preparation. Before you list your home, make sure you have thought of and listed all the advantages and disadvantages of selling your home. If the positives outweigh the negatives, then you can move confidently and open your home to buyers. Sellers of Lakeland FL Grasslands homes for sale who are still emotionally attached to their home will have a difficulty accepting changes. You know you are ready to sell your home if there is no resistance towards major changes on your part. An appraiser is a professional who analyzes your home and compares it with other recent sales and current competition in your area. It is important that you do not skip this step because the result of the appraisal will help you decide if you are ready to put your home on the market. The price figure that the appraiser assesses your home at can help you in your planning that is why the appraiser’s report should be considered heavily. Another sign that will indicate that you are ready to sell your property is when you have done your homework. It means you have made a research on what homes are for sale, and have sold within a set radius from your home. Doing so will help you get realistic about your decision in selling your home. You are not yet ready to sell if you are not financially able to make move. You have to analyze your finances and determine if you are ready to take on the costs of a new home. It also means you are prepared to make the investments necessary in getting your home ready for sale. 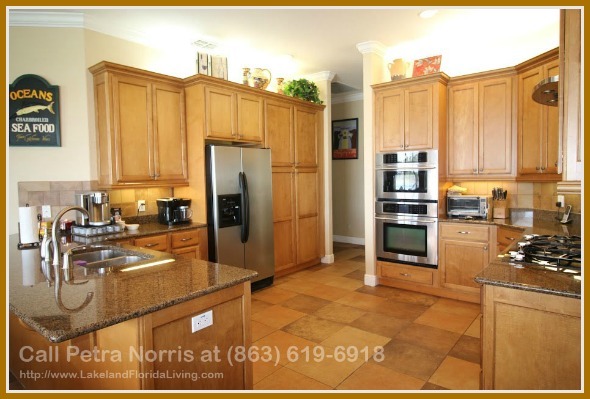 Visit http://www.LakelandFloridaLiving.com today for more helpful suggestions on home selling and home buying.